What do you do when you’re a small local group, with great intentions, but a building where the wind whistles through the windows and the rooms look very tired? You ask Smile for help! 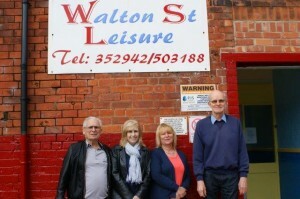 After visiting the facilities of Walton Street Leisure and hearing what the wonderful team of volunteers do for local children, we enlisted the support of local businesses to volunteer and provide funding to add some sparkle and lift the spirits of the members and tireless volunteers.